“Aqui......Onde a terra se acaba E o mar comeca......” (Here, where the land ends and the sea begins.) This acclaimed quote from Luis de Camoes, the greatest poet of Portugal, vividly depicts the superb location of his motherland. Twenty years ago, I made my first visit to Portugal, and in 2014 I had a stopover in the Terceira Island. I am delighted to be coming back to your country for a state visit at the invitation of President Marcelo Rebelo de Sousa. Over recent years, Portugal has effectively coped with the challenges brought by the European sovereign debt crisis, and made significant headway in economic and social development and in promoting its traditional culture, injecting new vitality into this ancient land. 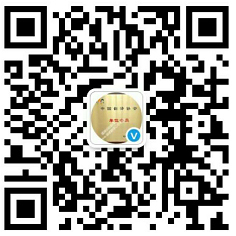 As a true friend of the Portuguese people, the Chinese nation has nothing but admiration for what you have accomplished. Though our two countries are located at the east and west ends of the Eurasian continent, our peoples have forged an enduring friendship dating back to antiquity. China’s blue and white porcelain, which was first shipped to Portugal centuries ago, inspired a fusion of Chinese and local techniques, producing a unique form of art Azulejo. The northeastern Portuguese city of Freixo de Espada a Cinta, known as the hometown of silk in Portugal, has been using sericulture and weaving techniques from China for centuries. Many more such episodes of friendly exchanges between our peoples can be found in the present day. An elderly couple from China, despite their age and illness, have spent decades teaching mandarin and spreading Chinese culture in Portugal. Top-class Portuguese football coaches and players have come to China to work or play for Chinese clubs, making Portuguese football even more popular in China. Portuguese custard tarts baked by Chinese pastry chefs have become a new delight for Chinese consumers. Stories like these bear witness to the friendship between our peoples that transcends time and space. In about two months, we will be celebrating the 40th anniversary of our diplomatic ties, which were established in February 1979. With steady and fast growth every step of the way, our bilateral relations have traversed an extraordinary journey over the past four decades. We have always trusted, respected and helped each other, setting a fine example of win-win cooperation between countries of different social systems, historical backgrounds and contrasting sizes. In the past four decades, we have consistently approached bilateral relations from a strategic and long-term perspective. In 1999, through peaceful consultations, we properly resolved the question of Macao, an issue left over from the past, and ushered in a new era in the development of Macao and in China-Portugal relations. In 2005, a comprehensive strategic partnership was established between our two countries. With frequent high-level exchanges, deepening political mutual trust, and fruitful outcomes in all areas, China-Portugal friendship and cooperation have embarked on a fast lane of development. In the past four decades, we have stayed committed to advancing practical cooperation in the spirit of equality and mutual benefit. In the wake of the international financial crisis of 2008 and the European sovereign debt crisis, our two governments worked closely together to defuse risks and address challenges. Chinese companies came to Portugal in large numbers to seek investment opportunities. While expanding their own businesses overseas, they have also contributed to job creation for the local communities and to Portugal’s economic and social development as a whole. In the past four decades, we have made consistent efforts to strengthen people-to-people ties in the spirit of mutual learning and common progress. In the early days of our diplomatic relations, there were few mutual visits between the two countries. Now over 300,000 visits are exchanged between us every year. Today, 17 Chinese universities offer Portuguese courses, and in Portugal, four Confucius Institutes have been opened and the Chinese language is taught in several schools and universities. Our close exchanges in film, media, cultural performance, exhibition and at the sub-national level have enhanced popular support for the long-term development of our relations. China and Portugal both stand at a critical juncture of development. China is comprehensively deepening reform and expanding opening-up, while Portugal is committed to faster development and national renewal. China will join hands with Portugal to further enhance mutual understanding and trust, expand and deepen practical cooperation, and substantiate our comprehensive strategic partnership. By working together, we will create an even brighter future for China-Portugal relations. First, we need to strengthen high-level exchanges and build a friendship based on mutual respect and mutual trust. We support regular exchanges and policy communication between our governments, parliaments and political parties. We should always give each other understanding and respect on matters of core interests and major concerns in order to provide a strong political underpinning for the sustained development of bilateral relations. China hopes and trusts that Portugal will continue to play a positive role in the EU and contribute to the building of China-EU partnerships for peace, growth, reform and civilization. Second, we need to jointly take forward the Belt and Road Initiative (BRI) and build a partnership of common development. As Portugal lies at an important intersection of the land and maritime silk roads, our two countries are naturally positioned to cooperate under the BRI. We should seize the opportunities provided by the BRI to expand and strengthen cooperation on existing projects, make good use of the China International Import Expo and other platforms to increase two-way trade, explore more cooperation opportunities in port development, automobiles, new energy, finance and other fields, and step up third-party cooperation to seek mutual benefit in a wider scope. Third, we need to carry forward traditional friendship by deepening people-to-people exchanges. As agreed, we will hold cultural festivals in each other’s countries next year, and enhance cooperation on exhibition, cultural performance, film and media. We need to deepen cooperation on language teaching, and increase the number of students studying in each other’s countries. We will continue to support cooperation between our airlines in an effort to facilitate personnel exchanges. Fourth, we need to lead the way in growing the blue economy by promoting maritime cooperation. Portugal, known for its tradition of maritime expedition, has a time-honored maritime culture and rich experience in the exploitation of marine resources. We need to strengthen our Blue Partnership, facilitate cooperation in marine research, ocean development and protection, port logistics and other areas, and grow blue economy together to better harness the vast ocean to the benefit of our future generations. Fifth, we need to build and uphold the international system by enhancing multilateral coordination. China and Portugal share the same or similar positions on many major international and regional issues. China stands ready to step up communication and coordination with Portugal within the UN, the WTO and other frameworks on issues such as global governance, climate change and Security Council reform. It is important that we uphold our shared values of openness and inclusiveness, support multilateralism and free trade, and jointly contribute to peace, stability and prosperity of the world. Portugal is the last stop of my trip, which has taken me across the Eurasian continent and the Atlantic Ocean to destinations in Europe and Latin America and to Buenos Aires for the G20 Summit. What impressed me most during this visit are the strong international call for a firm commitment to multilateralism and more effective global governance in keeping with the times, and the ardent aspirations of people around the world for peace, tranquility, development, progress and a happier life. In the face of difficulties and challenges in today’s world, China remains convinced that mutual respect, equal consultations, peaceful development and win-win cooperation are the only way leading to durable peace and stability of the world and common development of mankind. China-Portugal relations are now stronger than ever before, and China-Portugal cooperation promises broad prospects. 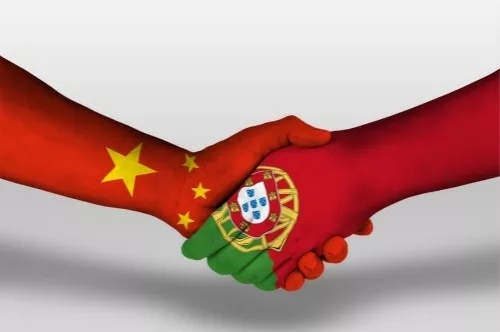 We have every reason to believe that with the joint efforts of both countries, China-Portugal relations in the new era will gather full speed and sail toward an even brighter future, delivering greater benefits to our peoples, and contributing even more to the building of a community with a shared future for mankind.